If you have ever visited Gabriel House you will remember Chely. I’m very sorry to tell you that Chely died Saturday. Bittersweet does not begin to describe the way I feel. I know my tears are about me, and how much I will miss her. I know she is whole and happy now, never to suffer again. I always called her and her two sisters, Ellie and Sonia my fiftieth birthday gift. Ted was going to take me to lunch for my birthday. Those plans got cancelled because someone told me about a frail, paralyzed young girl whose family laid her outside on a mattress. I asked Ted to take me to El Zorrio Village (The Village of the Skunk) where this little girl was said to be living. I knew the area well, we had been helping people there for a few years and, as you have probably guessed by the name of the village, it was not a highly thought of area. At that time, there was no running water, no electricity, and no law. We followed the directions we were given and found the home of Chely and her family. Chely was lying on an old, filthy mattress while one of her siblings was trying to feed her pieces of dried corn tortilla. She was quadriplegic and had no ability to speak. whose body and eyes twitched as she exhibited signs of the same neurologic problems. The second little girl, Ellie, wrapped her arms around Ted’s feet and I saw all of his reason and practicality dissolve. That day my birthday present was three little girls, Chely, Ellie, and Sonja. The mother was so happy that we were willing to care for her three girls; these girls were three of her nine children. She told us that she was getting ready to call DIF, the child welfare system, that day to have them taken away to an orphanage because she and her husband could not make enough money to take care of them and their medical needs. Seven years later, the fourth little girl was brought to us by the parents because she had grown so large that the mother could no longer lift her. When I would get down in the dumps, the cure was Chely’s smile. What right do I have to feel sad or angry when Chely never felt sorry for herself? 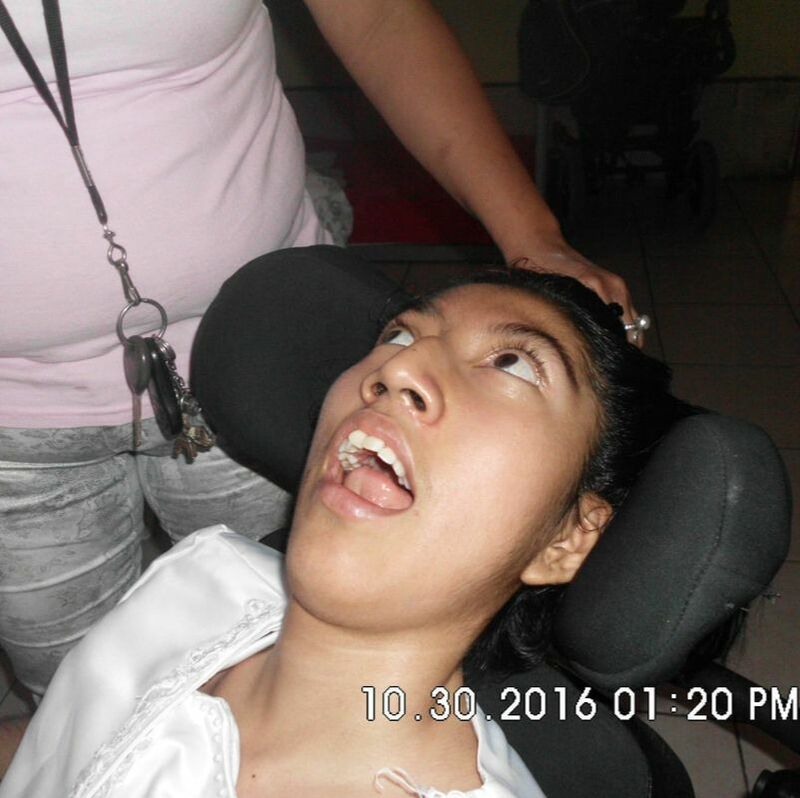 Chely had a normal intelligence, yet was unable to move or speak. I can count on one hand the times I saw her angry, sad, or crying. She loved life and she loved people. Chely’s greatest gift to all who had the privilege of knowing her, was the heart transfusions of love and courage and hope that she liberally dispensed with just her smile. This is what Gabriel House is about, caring for children who need us.